Coaching is all about developing deep friendships with leaders, future leaders and groups. The coach is a relational extension of the pastoral staff, and the conduit for information about leaders and groups for the small groups or cell groups pastor. 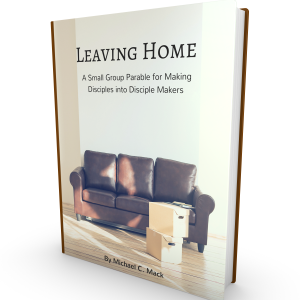 The role is vital to any successful small group or cell group ministry! By putting this little book in the hands of your coaches (or better yet, your potential coaches) you can move them into the role naturally, through the development of relationships. When the author set out to research coaching training at world-class churches, he discovered that few, if any have a coaching training track! They learn how to coach while being a group leader, and the relationships with current coaches and pastors is so strong that they naturally move into the position. What’s the source of the “training”? Relationships with current coaches and pastors. With this in mind, Neighbour has done a superb job of explaining how he relates to group leaders as a friend, helping them develop others, take on new responsibilities, and even moving into the coaching role themselves. As a small group pastor, I bought these little books by the dozens and gave one to each coach. This book is (intentionally) concise, an easy read, simple to implement, and Christ-centered. I used Coaching Life-Changing Small Group Leaders by Bill Donahue and Greg Bowman as a resource for training the coaches under my care and I also gave it to directors who also oversaw coaches. If I were a small group ministry leader, I’d use both in my ministry.